I have no doubt that you’ll all agree that this is the best time of year to eat, drink & be merry – and I have been doing exactly that. Turkey roasts with the netball girls, mac and cheese on South Bank and some delicious bites at work lunches too, mmm. Here’s a little inspiration for some tasty treats over the festive period as we countdown seven days to big day! 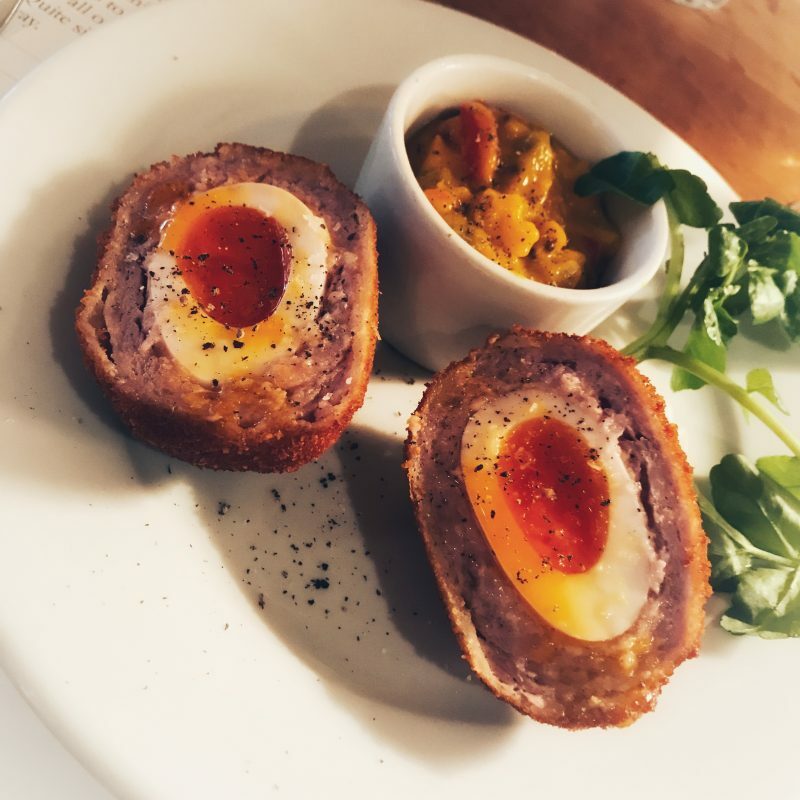 Let’s start with some delicious scotch eggs – honestly can’t beat these balls of joy (hahah), especially accompanied by chutney. Available at all decent pubs as a little snack, these were from Canteen at the South Bank Centre in London. What about some mac & cheese. 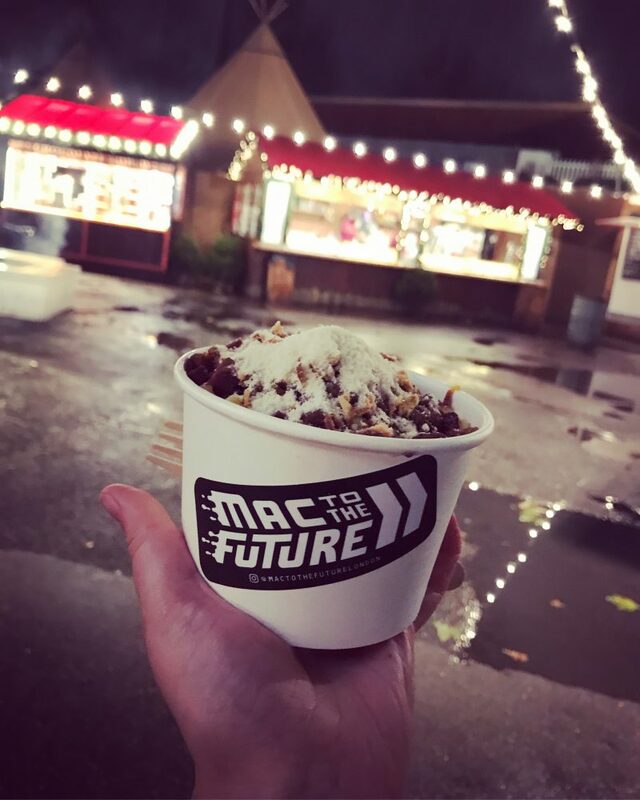 I had this unbelievably cheesy one down at the Underbelly Festival space on South Bank. With lashings of cheese, pancetta, parmesan and a crispy fried onion topping I was honestly in pasta heaven. Find out where the stall will be next on their website. 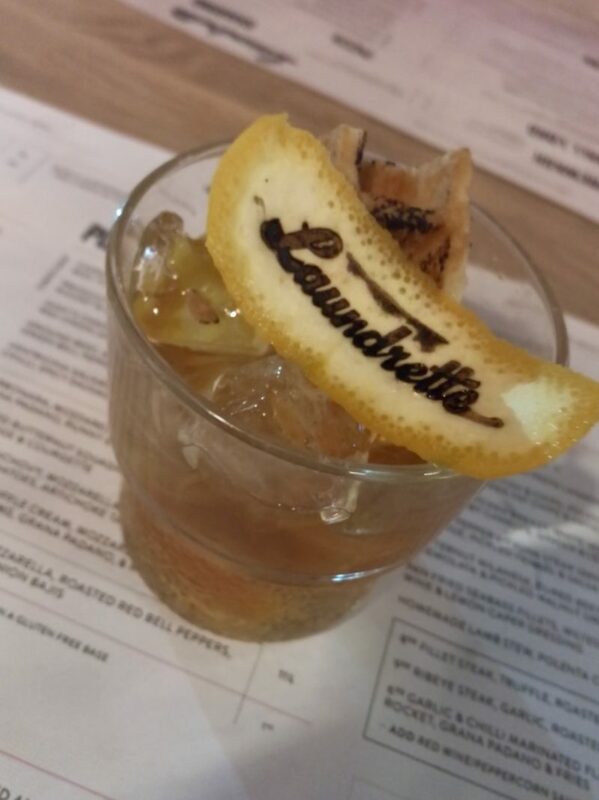 Cocktails with a twist at Laundrette up in Manchester – this was included a little tasty waffle as a garnish on a traditional whisky based Old Fashioned. Not everyone’s taste as it is pretty strong, but the range of cocktails there won’t leave you thirsty. Below are three of the tastiest little scones I’ve ever had, bacon & maple syrup flavour. I LOVE a savoury scone and this one was possibly the best yet. 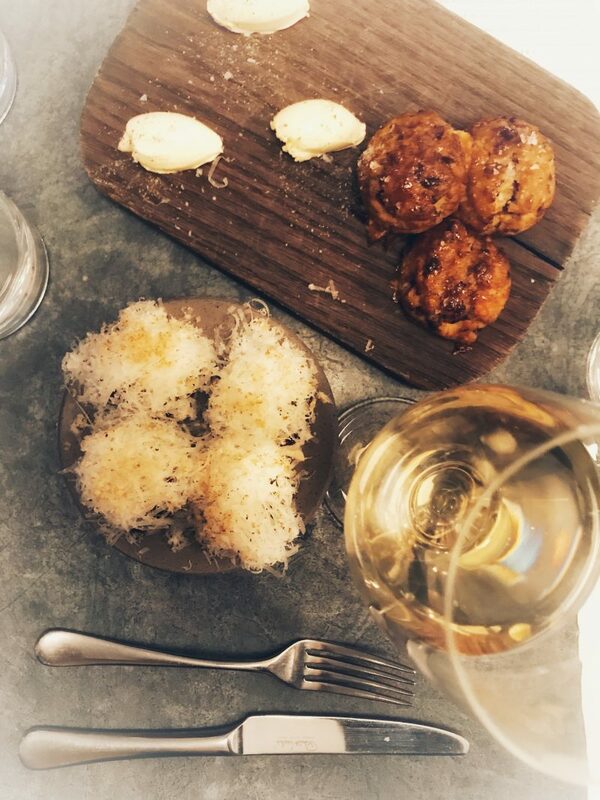 Underneath those little piles of cheese were brussel sprouts, not to everyone’s taste, however the finely grated parmesan was a seriously positive addition to that festive mouthful. Available at the Frenchie in Covent Garden – full review to come soon! Beetroot, halloumi & avocado tostada was my starter at Las Iguanas with my very first team at IBM. 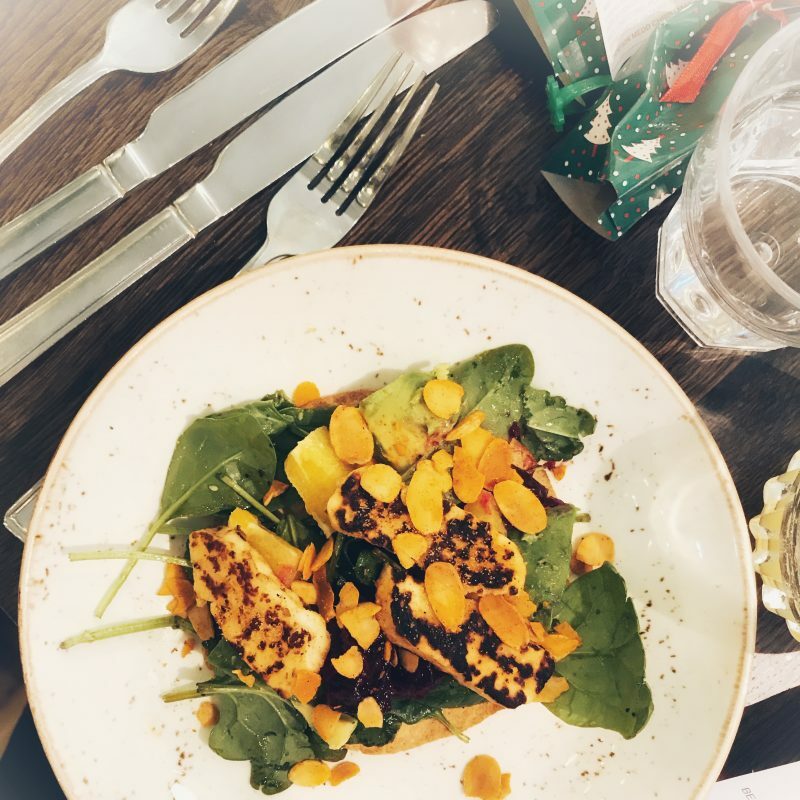 A delicious vegetarian little dish with avocado, spinach, cranberry and halloumi just a few of my favourites. Really nice festive menu available for their “Carnival Christmas” if you fancy something non-traditional over the coming days. Ah, finally the full festive works. 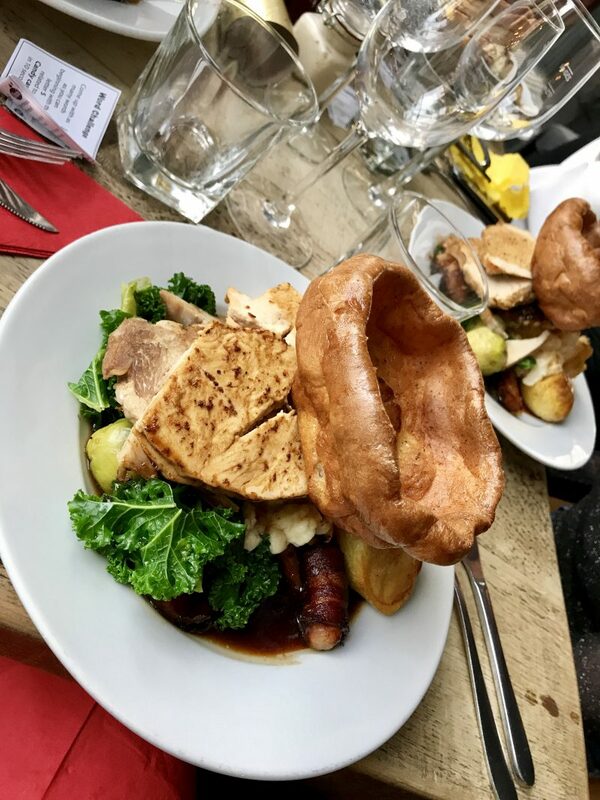 The Regent Pub in Balham (and obviously pubs, homes and restuarants around the country) are cooking up turkeys, veg, pigs in blankets and all the trimmings. I’m sure you’re looking forward to yours – or perhaps you’re having something different? Let me know!